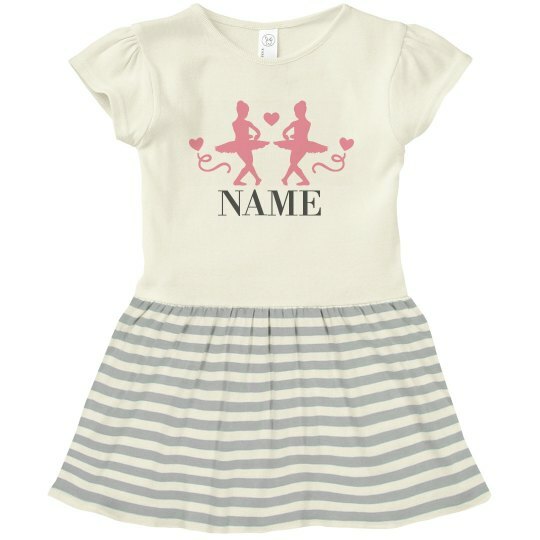 Surprise the little ballerina in your life with a cute, custom, t-shirt dress that shows off her favorite sport and hobby. This adorable little outfit features a cute graphic of pink ballet slippers. You also have the option to add your own custom text!